Not many people can recall the smell of magnetic recording tape with unbridled nostalgia. 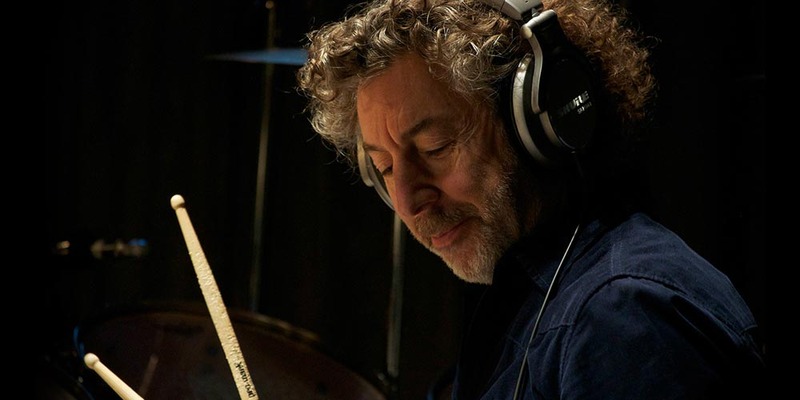 Meet Simon Phillips, whose mother was a tape archivist, and who performed at 13 with his father's jazz band every week on BBC Radio. Given his family history, it's clear how he came to be a musician, composer, engineer, artist, producer, and audiophile. 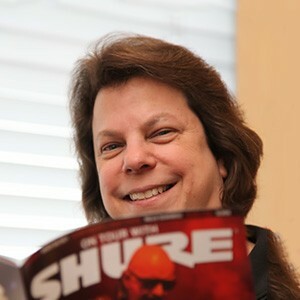 When we caught up with him to find out how he captures his famous drum sound, Protocol II had just been voted #1 in the Jazz Instrumental category at the 14th Annual Independent Music Awards, and he was getting ready to engineer a session at his Phantom Recordings studio in Sherman Oaks, California. Can you talk a little bit about what drew you to jazz fusion? Absolutely. I grew up in a jazz family. My dad started his first band in 1925 and was on the road in the 1920s and 1930s playing Dixieland Jazz. I grew up on Benny Goodman, Artie Shaw—all these wonderful jazz greats. So, that's where my jazz side comes from. As I got older, I got into more aggressive stuff. For example, Don Ellis, the jazz trumpeter, was pushing the limits with very modern arrangements, Indian rhythms and quartertones. By that time, I was more into the rock thing and doing a lot of session work. I started hearing music that was jazz-oriented with a rock sound. When I first heard the Mahavishnu Orchestra and Return to Forever, that was it. What I heard back then was jazz fusion, but in those days, it was called jazz rock. You've toured and recorded with Judas Priest, Toto, Mick Jagger, Pete Townshend, Al DiMeola, and many others, including, recently, your own jazz fusion band Protocol. Given the vast differences here, how would you describe your drumming style? Is there a Simon Phillips signature sound? I've worked on this for a very long time, and my sound is very different. Back in the 1980s, I often got some pretty blank looks from recording engineers because my drum sound wasn't like any other drum kit they had recorded. We'd go through all the drums, they'd run the tape, and I'd play a little bit. I'd take the headphones off, walk into the control room, and ask what the engineer thought. He'd say, "It's not really the right sound." What did they think was wrong with it? By the 1980s, they were so used to drum machines that they'd forgotten what real drums sounded like. We were recording instruments pretty much separately, not live anymore, and they were just thrown by it. If Ken Scott or Geoff Emerick or any of those guys who recorded in the 1970s were engineering, there would have been no problem. What did it take to convince them? They needed to listen to the drum kit in the track. That's the whole point. No one is ever going to get a mix of just the drums. They're going to get a mix of everything. Vocals. Keyboards. That's where it needs to sound good. They were used to having a less ambient, less organic, less dynamic sound. My sound is very live, very organic and very symbiotic in the way it fits whatever I'm playing. Okay, let's talk about miking your drum kit and how it contributes to getting that Simon Phillips sound. In the studio, I use SM57s for the snare drums and BETA®52As for the kick drums. I prefer not to use condenser mics for inside the kick drums because I can hear a slight distortion, but that's usually my bass drums with the front heads on. It it's available, a Neumann U47 on the front head or further away from the shell of an open front kick drum is wonderful. I might use various other condenser mics on the front: KSM44A, SM27s or Røde NT2000s. If I'm using the studio's mics, I'll just make a decision then and there based on what's available. But typically, the main sound of the kick is coming from the BETA 52A. I'm using SM27s. This goes back again to the early days of recording at Trident Studios in London. A lot of studios, and especially Trident, used a side-address Neumann U67 or AKG414. Side-address microphones give you less coloration because the capsule is open at the front and the back. Even though it's a cardioid pattern, it's going to be less susceptible to any coloration from the casing that it's in. The biggest problem with a drum kit is the sheer number of mics needed. This can get you into trouble very quickly. In certain scenarios, I would just use 4 or 5 mics for the whole kit, à la Glyn Johns or Alan Parsons. It just depends on the sound that you're after. But for a multi-mic scenario, the SM27 is my preferred tom mic. Do you have a favorite Shure microphone? Definitely the SM57! It is just a microphone that works beautifully that you can find anywhere in the world. If I had to choose just one mic, I could do a lot worse miking everything up with SM57s. What's your approach to mic placement and experimentation? Have you pioneered any unique techniques? I am pretty sure that anything I do has been done before. In my 44 years of studio work, I have seen many strange mic placements, some that I think work and some that I don't. I did an experiment by accident last year when American Airlines temporarily lost all my microphones. I had to make do in London one day without any of my mics. I went through the studio's mic collection, and I ended up with a mixture of mics for the toms: three U87s, a couple of U67s and a couple of AKG414s. They're all beautiful microphones, but once you put a lot of them together, you get problems because of the wide pick-up patterns on them. It made for an unfocused drum sound. The next day, my SM27s arrived. I went to the studio and put them all up, and the difference was staggering. The only thing we touched was the adjustment to the mic gain of each tom channel. Do you have any other advice, techniques or tips for drummers who want to start applying their own approaches to miking in the studio? Let the engineer mic the drum kit up and do his thing. If you're asked, offer a handy suggestion when something's not working. I've been a sound engineer for over 30 years and a musician even longer, so when I get to a session, it's likely that they know my drum sound and sometimes, records that I have engineered or mixed. Still, if I'm a drummer on the session, I'm very respectful of what's going on. So, if someone had to slap one label on you, what would it be? Drummer first, and audiophile a very close second. This is my profession, but it's also a hobby and a passion. If money were no object, I'd have rooms full of audiophile equipment. I'd have mono block amplifiers and speaker cables thicker than my arms. I'd have a DSD recording system (such as Sonoma) in addition to my trusty ProTools rig with some all-singing, all-dancing ADCs/DACs. And I'd probably still have a few analog machines in tip-top maintenance form, because they have a lot to offer, too. I love listening to great recordings. I'm an audio junkie and always have been. The thing is, I never stop learning, and that's the cool thing about what I do.